The very first day that I took care of the animals all by myself was a proud one. Mom and Dad were somewhere, off at a work conference maybe. I only had to keep things running for one whole day by myself. It started off like most days at the barn: with feeding. The horses get turned out and fed their breakfast, then the alpacas get turned out and have their feeders refilled. I turned out the horses, and then walked through their paddock into the alpaca turnout, and let the alpacas out. At that time, the girls were not separate from the boys, since Morocco and Tuscany were still babies. Feeling rather proud of myself, I got started with the poop scooping. It was a lovely day, warm and sunny, a good day to be scooping poop. I glanced up to check on the ‘pacas, just to make sure no one was doing anything too silly (falling in holes, squeezing through fences, etc.) and counted one, two, three, four…four. There should have been five alpacas out there. Where had Tulip gone? “Tulip?” I shouted, as if she would pop up and say “Right here!” As I dropped my shovel and turned towards the barn, I saw her. She was standing in the exact center of the horse paddock, wearing an expression that said, “Hey! Look where I am!” Apparently I’d left the gate between the alpaca turnout and the horse paddock open, and being a smart and curious alpaca, Tulip decided to investigate. What is that over there? I shall investigate. “Ok,” I thought, “No problem, she’s gone from one enclosed area to another, this is fine.” And then I realized that I’d left the stall door between the paddock and the barn open, AND the door between the stall and the breezeway open, creating an open path between Tulip and the driveway. Spectacular. They leave me alone for one day, and I lose Tulip. I began casually strolling towards the barn. Tulip watched me suspiciously for a moment, and then began to mirror my movements, heading towards the open door to the barn. I began to jog, Tulip began to jog. Then I broke into a sprint, skidded around the corner into the barn, and slid the stall door shut in her face. And that is why I now shut and latch every single gate and stall door, always. 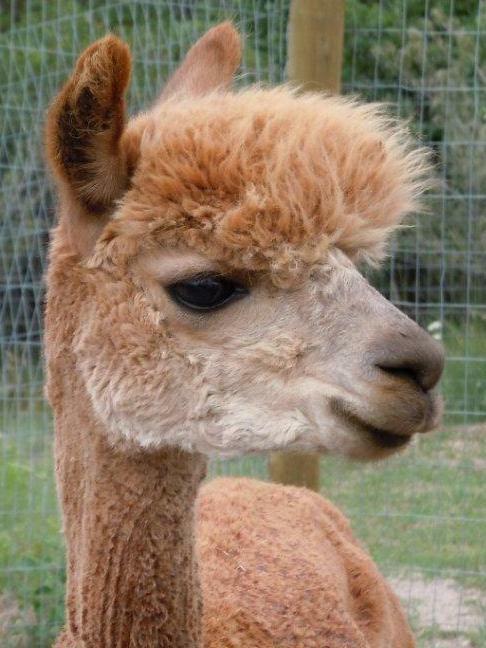 This entry was posted in animals and tagged alpaca, alpaca ranch, alpacas, gates, ranch life. Bookmark the permalink.